The perfect addition to your culinary repertoire, hemp is a versatile, gluten-free ingredient that is rich in protein, omega fatty acids and antioxidant vitamins. Learn how to add an omega boost to your next meal at this month's Tweed Main Street Talks. Improve your digestion, heart health and skin with an array of different hemp products from Mettrum Originals. Enjoy a live demo, one-on-one registration support and a thorough overview of the simplest way to understand cannabis - using the Mettrum Spectrum as a guide. Attendees will also receive 15% off Tweed Merchandise items. 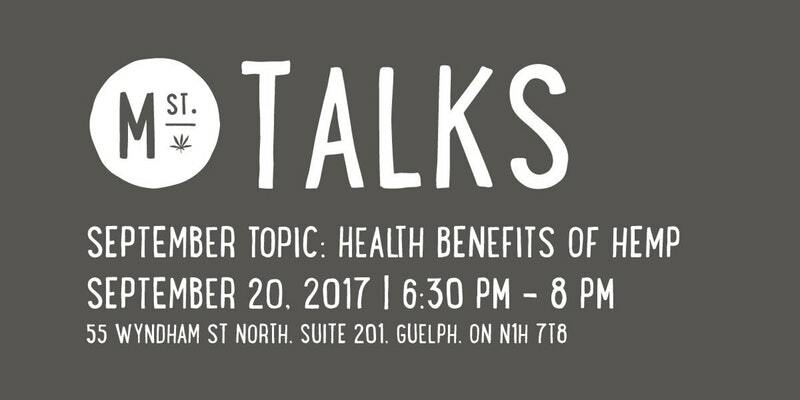 Every month, Tweed Main Street Talks are organized across our locations to educate our community on the latest wellness trends and cannabis developments. Stay tuned for guest speakers and engaging topics you can enjoy with your friends and family. Snack and refreshments will be provided, reserve your seat as spots are limited.